Kingston Park Raceway, Brisbane / Logan, Queensland. Information, Photos and Reviews. 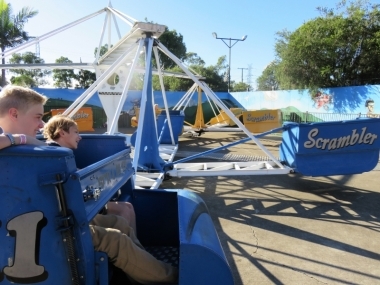 Welcome to Australia’s biggest and best go karting attraction! 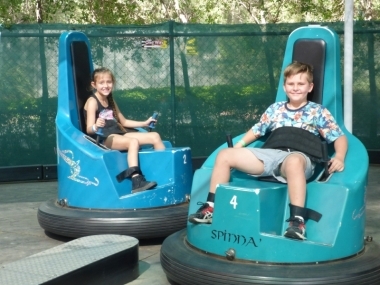 Kingston Park Raceway is Australia’s largest and most technically advanced outdoor go kart hire and amusement venue, the Raceway has over 100 go karts and 3 great go kart tracks to test drivers’ skills. Ranging from Rookie karts to grand-prix-style go kart racing machines, there are three different types of go karts at Kingston Park to cater for speed demons of all ages and abilities. It doesn’t matter if your racing style is more ‘tortoise’ than ‘hare’ – we’ve got a ride to suit you. The general public can jump straight onto our European-style Monte Carlo Track on which they can race Formula Karts against their mates or compete against the clock to set the day’s best lap time. The experienced drivers get to race the awesome Schumacher Karts on the 1100-metre international standard Le Mans Track. This the only go kart track in Brisbane or Gold Coast that offers drivers a true racing experience on an international standard circuit. Both the Monte Carlo and Le Mans Tracks have been installed with the very latest computerised timing technology, which means all karts have diagnostic software, enabling screen displays of race times, race positions and the race gap between drivers during an event. We also have real race-style track lights which are controlled via remote signal activation, which allows us to control the lights on the whole track. 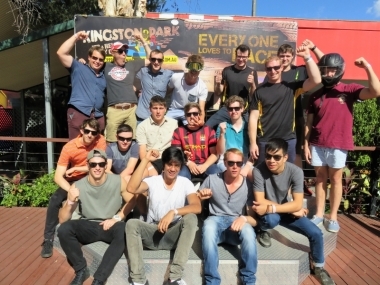 Kingston Park Raceway has the best Gold Coast go karting action and is the only place you can experience real side-by-side racing action in real race karts on the Gold Coast area. 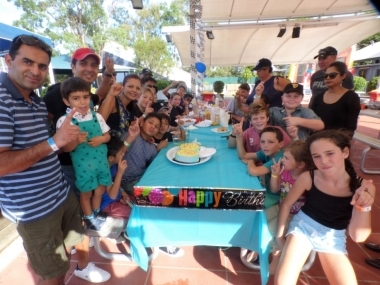 We specialise in group events, adult parties and kids parties, plus we have a number of corporate team building programs. If you’re looking for a day of exhilaration and excitement then go karting is a perfect way to rev up your group. For those important meetings ask about the ‘Legends Lounge’, recently equipped with projectors, 60” TV screens, WiFi and an amplifier system. 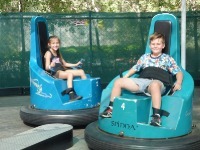 Families with children can enjoy a day of fast fun and excitement in the Go Zone, riding amusement rides and kids karts on the purpose-built Indy Track. With the added safety of bumpers, Children as young as 5 can experience all the thrills of go karting in a safe and organised environment. Next to the track is Side Show Alley with amusement rides and computer games that’ll keep the kids busy for hours. And don’t forget to bring your appetite, because our Pit Stop Café has all you’ll need on the day, from snacks and refreshments to complete catering for your special event. For the most extreme day of karting fun get to Kingston Park Raceway – it’s one hell of a day out! Kingston Park Raceway is rated 5 out of 5, based on 1 reviews. You are submitting a booking enquiry. Kingston Park Raceway will then contact you by email with details of availability and prices.